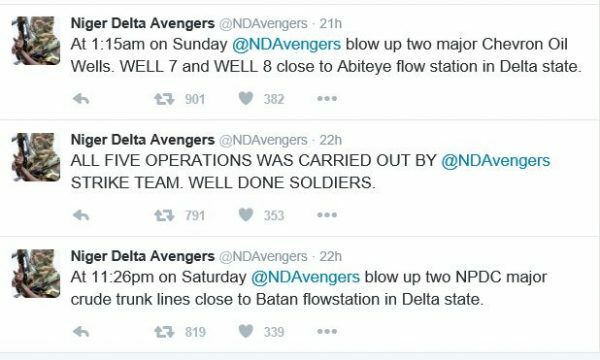 Niger Delta Avengers (NDA) have not reneged on their promise to continue to blow up oil pipelines and destroy the economy until the Federal Government meets their demands. 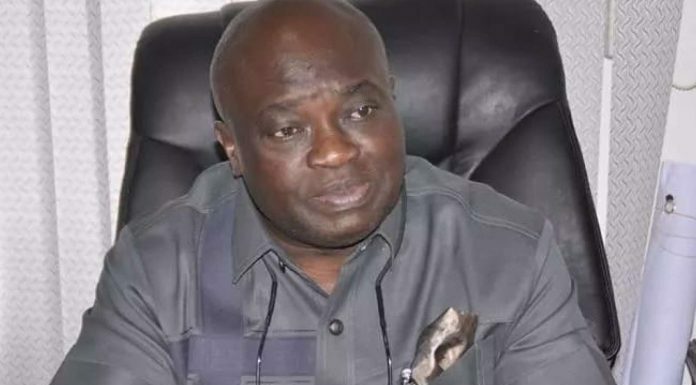 The group has claimed responsibility for the recent attacks on pipelines operated by Nigerian National Petroleum Corporation (NNPC), Chevron Oil, and the Nigeria Petroleum Development Corporation (NPDC). NDA confirmed the attack on the facilities on their twitter handler. Chevron’s Well 7 and 8 located near Abiteye flow station in Warri, Delta State were affected. 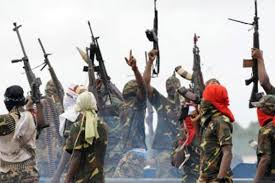 The group also destroyed two major crude oil trunkline operated by NPDC, close to Batan flow station in Delta State.